Netent Casino games are often regarded by most online gambling fans as the crème de la crème of all casino games, and definitely the most entertaining, fun and thrilling games on the casino market. And we agree! We’ve been fans since Netentertainment first launched in 2007 and that is why Netentslot.co.uk exists today. Throughout the years the Netent has developed and produced a large range of 'in browser' playable online casino games, each powered by Random Number Generator (RNG) software, which therefore guarantees a (fixed) Return to Player (RTP) percentage. Each slot differs to the next in terms of RTP %, but usually most fall between 95-97% to help guide and promote fair-play for casino customers.Netent’s collection of online casino games comprises of video slots, Classic/Traditional Slots, Casino table games, Video Poker games, Scratchcards and other games such as Bingo and Keno. NetEnt Video slots or online slot machines comprise of over 500 game titles of all mixed themes. Each video slot is available to play in an easy demo mode so customers can try out the slot before you play for real, or just play for fun for free and for no risk to your own capital. Since the first slot was launched in 2007, technology has changed a lot so it’s easy to see the journey that Netent have created through the years with the many different types of video slots. Each slot is beautifully designed with amazing graphics and usually a really fitting and enhancing soundtrack, that you can opt to have on or off, depending on your preference. 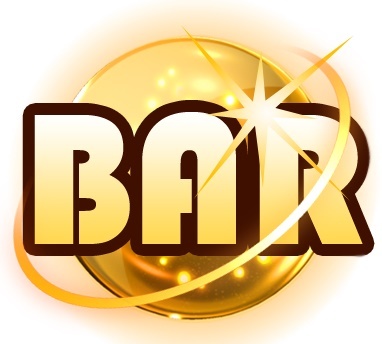 Each slot will consist of different extra features which make the slot fun, unique and entertaining, they vary from one slot to the other, and we must say that Netent have been very creative in their process from early slots to the most recently slots that they’ve been releasing more recently. New Netent slots boasts features that can be, quite frankly, bonkers and really go against traditional slot rules but they are there to make your time playing them as fun and of course, as profitable as possible. Some of Netent’s casino slots tells a story in which the slot is depicted for example, Gonzo’s Quest, which is a very popular slot tell the tale of Gonzo, and it’s your job to help him on his voyage across the seas to uncover the land and hidden treasure in Eldorado. It really makes it fun to play a slot with such a theme. Others can also be branded slots, of a theme or story line that you would have heard of, such as Netents collaboration with Universal Pictures, to make and release their Aliens Slot, which is based on the film of the same name. Take our word for it, if you thought the film was a little edgy and kept you on the edge of your seat, then so will this video slot, but all in a fun way! Older Netent slots may lack a modern twist with regards to design and extra features, but they still are great to look at, fun to play and have the Netent charm, such as Bloodsuckers Slot or Creature from the Black Lagoon. And they all do what you want at the end of the day - pay out some casino wins! In 2011, when it was clear in which direction the mobile phone and device technology was heading, Netent saw the vision in which casino playing would go as well. Statistically, some countries have more than 50% of casino players playing casino games on their mobile devices and tablets, and an overall an average of just under 40% play them on a mobile device of some description. This means it's never been more popular to play Casino on mobile and it's clear this is just the start of things to come. The problem was back when Netent started, was that the slots that Netent had made, like all other casino software companies, were not optimal to be played on mobile devices, where the video slot, didn’t fit or behave the way they should do like the desktop counterpart. It was in 2011 that NetEnt launched their Netent Touch™ series, which is where the slots that were handpicked by Netent were be specially adapted for mobile play. The most popular slots made it to the cut, and since then most new slots they’ve released are available in NetEnt touch version as well. It hasn’t just been NetEnt slots either, as NetEnt have released traditional table games to mobile as well, making them leaders in modern mobile casino games of all types, not just slots. Try a Netent Touch Slots on your phone or Tablet. Our preferred playing device is our iPad as all Netent Touch slots are quick to load, don’t lag, are really simple to play and look/sound great. Netent offer a massive selection of classic casino table games to add to the mix and variety. The ‘classic’ casino table games such as Roulette and Black Jack can be played for free in demo version, on mobile or desktop version. Other games are available as well, such as Baccarat, Pontoon, Texas Hold’em Poker, Hi-Lo Switch and Punto Banco and most Netent casinos offer the full package of these games. Netent Live Dealer Casino games are becoming more and more popular with the increase of modern, high quality technology. If you haven’t played live dealer games then we’d say Netent do a professional job in bringing the land based casino experience to your computer screen. Yup, Live Dealer Casino games are exactly what they sound like, it is possible to play casino games which have real dealer/croupier with real bets, real shuffling and dealing. It's all possible to play online via Live Cam technology, so when you load a game you’ll see a croupier waiting there for you, waiting your turn to bet. You’ll see everything fair, really dealt and in real time. Some people prefer this type of game as it gives the reel traditional feel of playing in a casino, but in the comfort of wherever they are sitting, or helps some people play real casino games as they do not have access to a local casino. It's all possible to play online these days, and Netent offer some of the best looking live dear games. Netent has also make high quality alternative casino games which you can bet on, such as online Scratchcards, instant games, Lottery games, Video Poker, Keno and Bingo. Not every casino offers these games, but usually the larger companies and operators do. Have a look out before you register to see if a new casino has all the games you require. As we said, all Netent games are possible to play for free. All you need to do is choose a best online casino we recommend, and then choose a NetEnt game which you want to play. Here, make sure you click on the 'Demo Play' option. You’ll be given a fun balance to have some no risk fun and to see all the features of the game. But, it’s of course not possible to win any real money and that’s as fun as it gets. If you prefer to play for real which make things a bit more exciting, then it’s easy to do especially if you can also get a no deposit casino bonus to help get you started. Simply pick an online casino we recommend that you like the look of, and then deposit to get a welcome bonus and free spins (which help you ultimately have more time and more chance to win something in the casino) to have some real casino fun!